The dreaded “B” word – braces. If you or someone you know has ever been in the chair when the word gets dropped, you know what we mean. For years, braces were the only viable means of correcting a misaligned bite, and while effective, the time, pain, and social stigma attached to them was enough to make anyone cringe. Thankfully, Invisalign offers patients another option. Since coming on the market, Invisalign has generated a ton of interest – particularly among adults who normally wouldn’t consider teeth-straightening with metal braces. 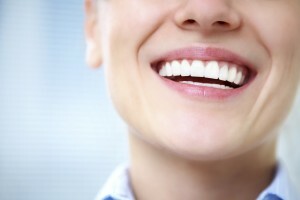 Dr. Q is a top Invisalign dentist in Monrovia – a fact her patients are happy to attest to – and has worked with thousands of patients to give them perfect smiles using Invisalign. Read on to learn more. The reason metal braces are so effective is because they apply constant pressure to your teeth in the desired direction, and Invisalign works the same way. The main difference is that the clear plastic of Invisalign enables you to comfortably wear them in your daily life without anyone knowing you’re undergoing treatment. For adults or teens that are apprehensive about wearing metal braces, Invisalign is an ideal solution. Don’t just live with imperfect teeth. Call Dr. Q, your expert Invisalign dentist in Monrovia, at 626.599.9818, and schedule your appointment today.